Middletown South’s Trevor Brey opened the 2018 season at home with a bang. His 204-yard, 4 touchdown performance at The Swamp pushed the Eagles past Freehold Township with a 37-0 win. Thanks to his standout game, voters around the Shore Conference picked Brey to win JSZ’s Shore Week One Game Ball. 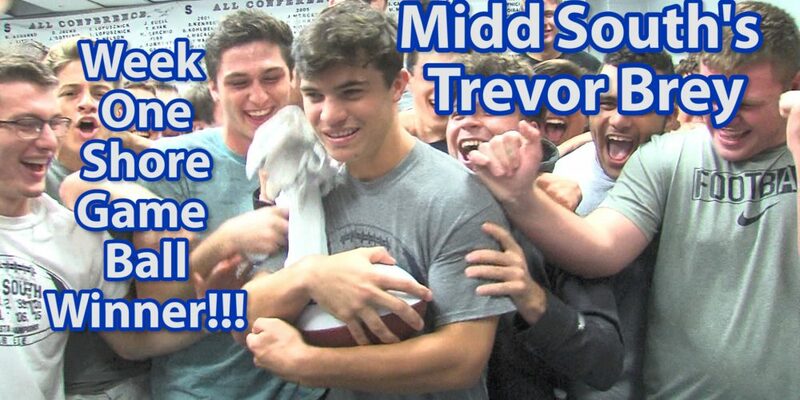 Congrats, Trevor!